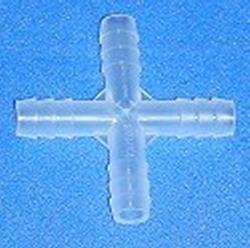 Polypropylene Barbed Cross for 1/4 inch hose. Transparent. Imported Made in Italy.